A Most Curious Wedding Fair Blog: Hiding In the City Flowers are Most Curious About The Upcoming Fair! Hiding In the City Flowers are Most Curious About The Upcoming Fair! Hiding in the City Flowers can be found, but they’re inside the premises of ‘The London Fabric Shop’ in Shoreditch surrounded by some of the capitals most exciting creative communities. 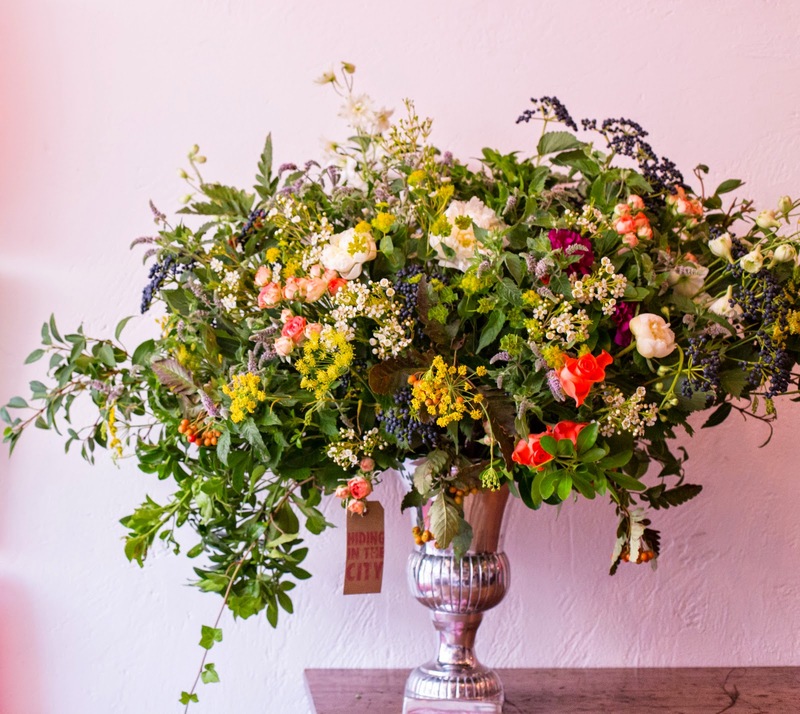 Predominantly a floral events company specializing in beautiful wedding flowers, Sarah Loughrey-Jennings works to create designs which are luxe, celebrate nature, and are impeccably finished using seasonal flowers and plants in their organic form. 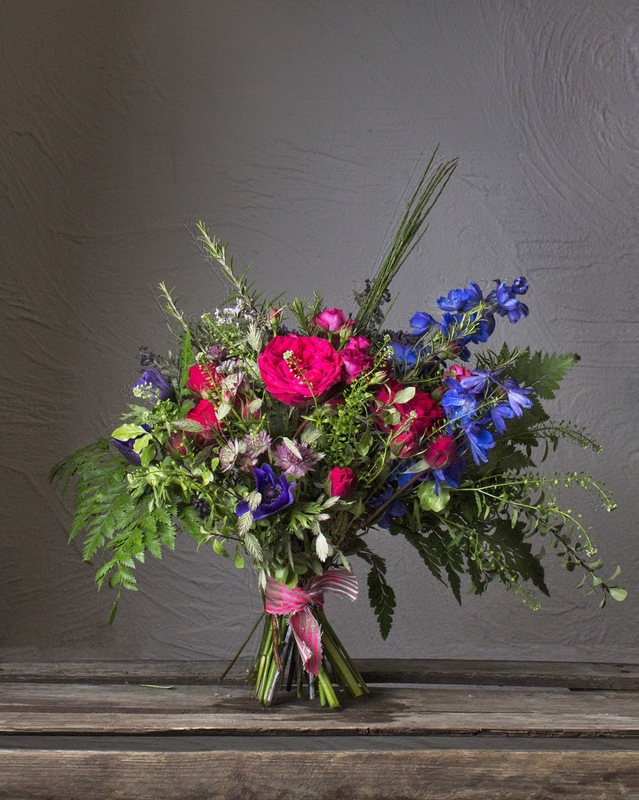 With previous experience working with some of London’s most prestigious florists, Sarah decided to go solo in 2013 after wanting to veer away from standard bridal floristry and to establish a product and service for couples that are wanting to add a bit of personality into their day. 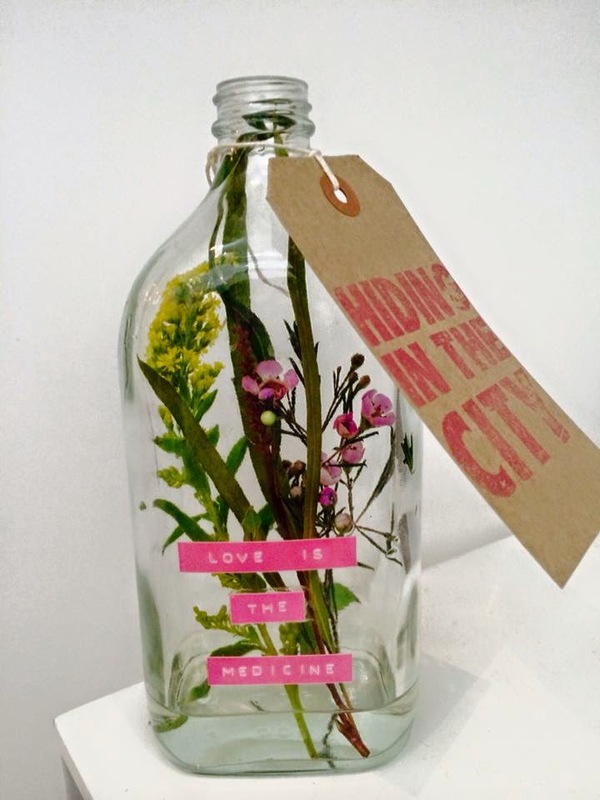 "Hiding in the City Flowers has received some very complementary features from the press and I recently have had some ‘pinch me’ moments when approached by some of our big clients. Sitting inside ‘The London Fabric Shop’ I’m constantly surrounded by fashion buyers and textiles two seasons ahead of the high street so, I make it my business to think how this then relays to our flowers and lifestyle trends. We are really proud of some of our glassware pieces as they magnify plants and flowers natural beauty and we adapt them really successfully for our weddings. We also love creating unique statement installments which catch the eye. This is our first time exhibiting at the Most Curious Wedding fair but we are so excited to be participating to showcase some of our designs for the forthcoming year to likeminded couples!" And the Most Curious things about Hiding In The City Flowers? The fact that Sarah really does have her finger on the pulse and creativity in her heart, seeing up and coming trends and translating these into stunning floral creations which are two steps ahead of everyone else! We're super excited to have Sarah joining us this weekend, don't forget to get your tickets while you still can here!